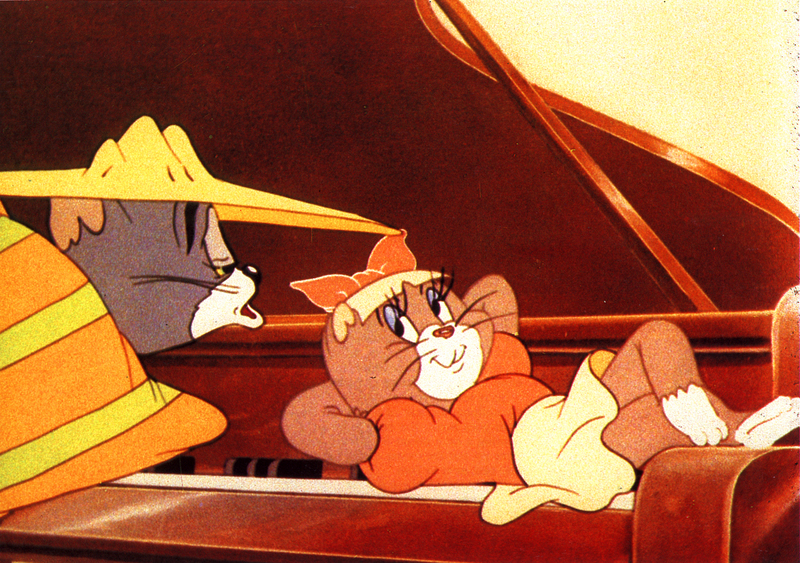 Tom and Jerry are now owned by Turner Entertainment. Which means that Warner Brothers gets to make new cartoons. During this era, there have been many Direct To Video releases which are denoted as (DTV). 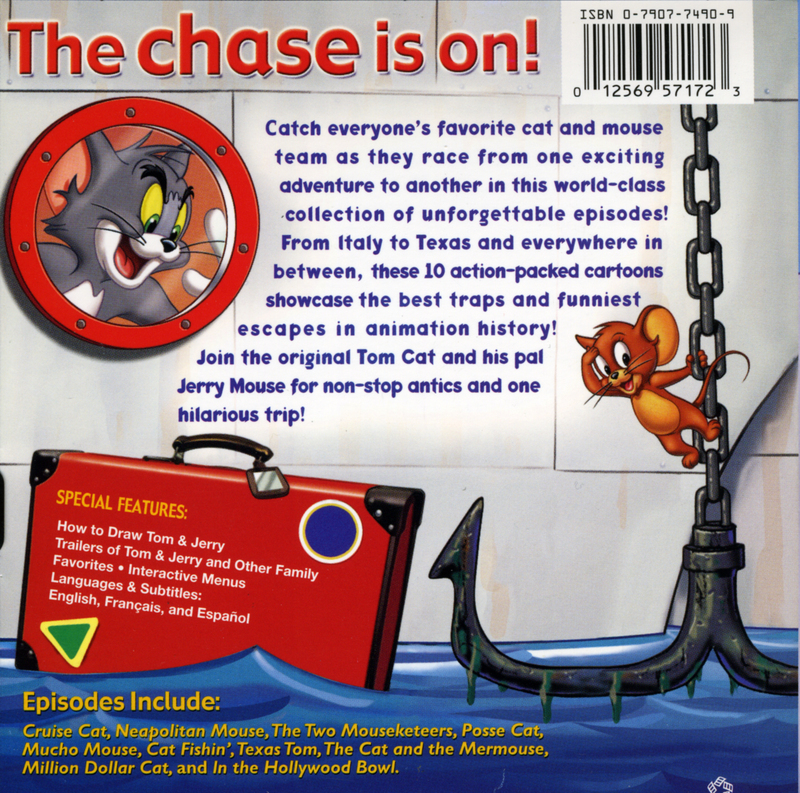 These DTV release are short animated movies using Tom and Jerry in my fun adventures. 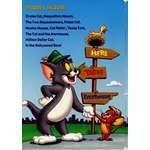 The WB produced 26 episodes (78 segments) of all new Tom and Jerry cartoons shown on The Kids' WB between 2006-2008. Those cartoons are listed in their own section. 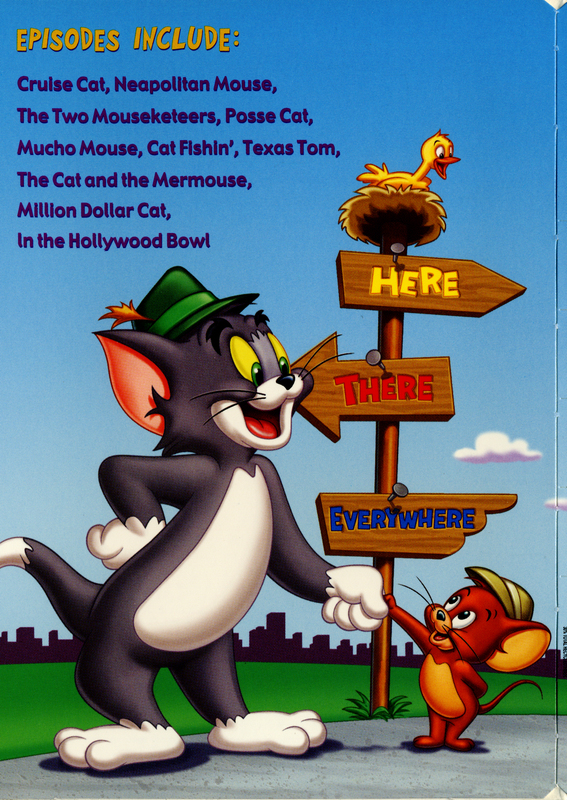 The popular cartoon cat and mouse are thrown into a disappointing feature film. The story has the twosome trying to help an orphan girl who is being berated and exploited by a greedy guardian. Tom tries to guard a powerful ring for the witch for a piece of salmon, but Jerry has got it on his head. Spike and Tyke try to get the ring, but the cat and the other bulldog get Jerry. 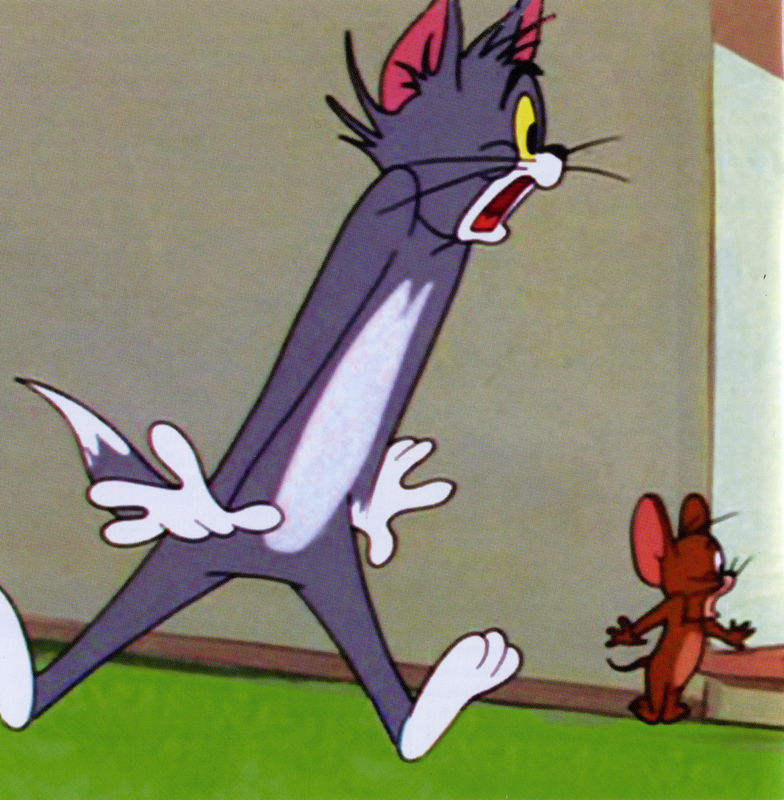 Jerry and the others fight over the ring. But Tom and Jerry freeze their enemies. The witch returns and thinks Tom had protected the ring. The witch gives him salmon. Then he kicks Tom out because he got it on his finger. 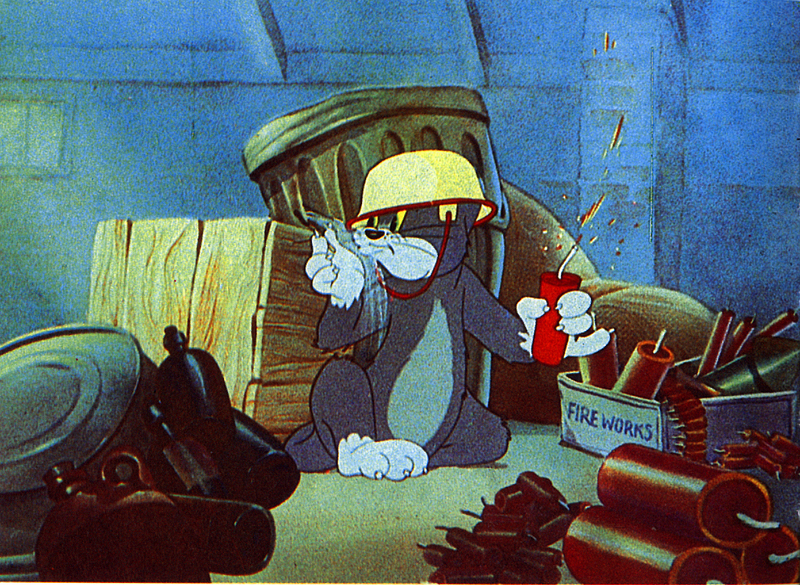 Tom and Jerry mistakenly stow away on the first manned mission to Mars and discover that we are NOT alone! Martians do exist! The furry duo must join forces with a young Martian girl to battle asteroid fields, prevent the Martian invasion of Earth, and stop a gigantic alien robot bent on destroying anything -- and anyone -- in its path. 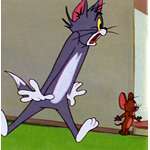 Jerry the mouse uses a mystical gong to summon a canine samurai bodyguard to protect him from his nemesis, Tom the cat. 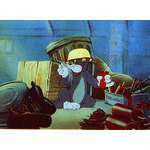 Sixty-five years after he helped to create "Tom and Jerry," legendary director, Joe Barbera, returns with this new theatrical short filled with martial arts mayhem and traditional cartoon craziness. 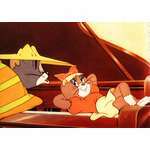 Tom and Jerry enter an extreme car race competition called the "Super Race" in order to win the grand prize of a beautiful, dream mansion! Driving suped-up hot rods that can adapt to any environment (land, sea or air), they compete in this wild race around the world, encountering famous landmarks along the way and leaving chaos in their wake. 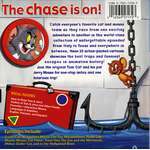 Dueling cat-and-mouse team Tom and Jerry hit the high seas on a hunt for buried treasure in this pirate adventure. The tale begins when crew member Tom sets sail with an infamous pirate, Captain Red and his bossy talking parrot, and finds a treasure map along with stowaway Jerry. The furry swashbucklers race to a deserted island where X marks the spot, but along with battling each other, they must outwit ruthless buccaneers, angry monkeys and a giant octopus to strike it rich. Based on an original idea by creator, Joe Barbera, Tom and Jerry find themselves in a fantastic wonderland brought to life by holiday magic and set to the music of Tchaikovsky's "The Nutcracker". In an empty opera house, Jerry wishes for his chance to perform and magically his dream comes true. The little mouse is whisked away to an enchanted kingdom where anything is possible... candy forests, singing snowflakes, even the toys spring to life! Jerry has a great time with his new friends and whenï¿½Jerry dances with a music box ballerina, he is as happy as happy can be. Unfortunately, a group of alley cats led by Tom, crash Jerry's party, kidnap the music box ballerina, and wreak havoc in the holiday kingdom. It's up to Jerry to set things right and send those mean old cats back to the alley where they belong. With some help from a mouse named Tuffy and all his newfound friends... Jerry just might win the day! Jewel heists around the city of London befuddle Scotland Yard and the beautiful singer Red is framed for the crook. 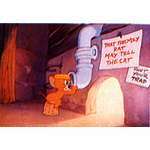 Only the legendary Sherlock Holmes can find the real thief with the help of his assistant Dr. Watson--and of course, Tom and Jerry. But finding clues and cracking the case will be elementary compared to keeping the peace between these raucous rivals as they scamper, scurry, scoot and speed along the streets, alleys and rooftops in the name of justice. Familiar friends Tuffy, Butch, Droopy and many more cleverly round out the motley crew of characters and possible suspects in this brilliant fusion of classic detection and energetic animation! 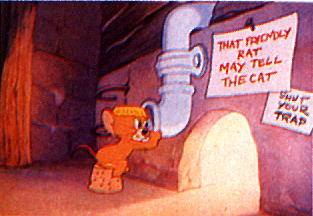 Tom and Jerry are integrated into the 1939 movie as they assist Dorothy during her journey, after promising Aunt Em to keep Dorothy out of trouble. It is a crossover movie version of MGM's The Wizard of Oz, with characters from the Tom and Jerry/Droopy universe sharing screen with Dorothy and her friends and foes from the Wonderful World of Oz.